Shea raises over 1K and it’s not even Lemonade Day yet! 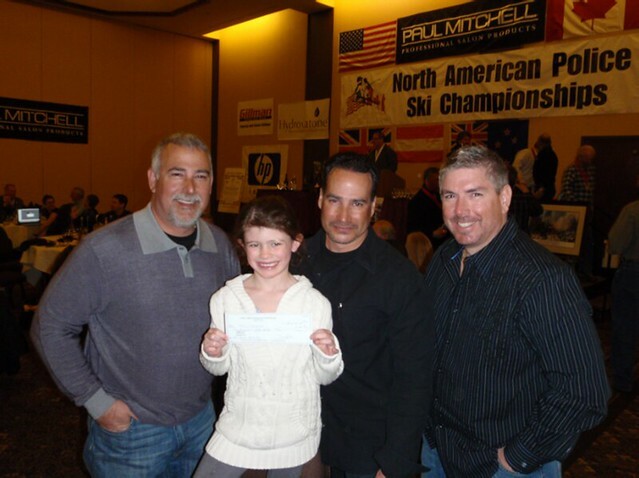 As you may recall, Shea was invited to the North American Police Ski Championships last week to “kick-off” her lemonade business and fundraising efforts for the Twin Towers Initiative. One we arrived in Snowmass, CO, we quickly went to work to set up her table, laying out her binder that contained all the information around her business goals and objectives as well as the Official Lemonade Day Blog covering her journey……and making lemonade! Shea was open for business 3 nights for about 2 hours each night. 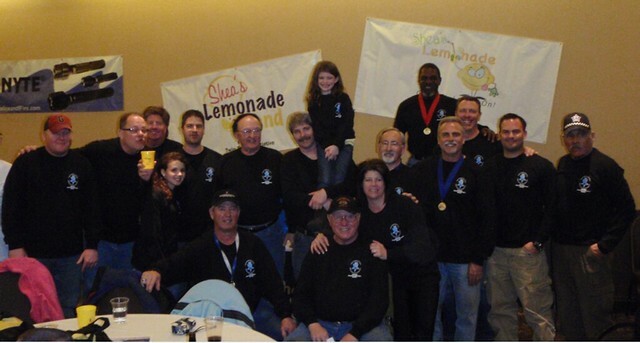 One night was officially designated “Get Your Lemon On,” specifically for Shea’s Lemonade stand. The lines were long and it was a sell-out each night. 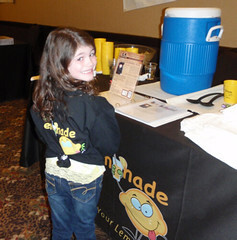 Shea kept track of her lemonade and t-shirt sales as well as tips and charitable donations each night. Shea sold Lemonade at 1 cup for $3 and 2 cups for $5. She also sold her t-shirts were $20. Over a three-day period totally approximately 6 hours of work, Shea sold…. Special Thanks to Joe DeSalvo, Sheriff of Pitkin County, Colorado who met Shea during the first night where he and his wife sat down with Shea as she explained her goals and what she has set out to accomplish. On the third and final night of Shea’s lemonade sales, Mr. DeSalvo presented Shea with a $200 donation that he and the Sheriff’s office collected to support her efforts. 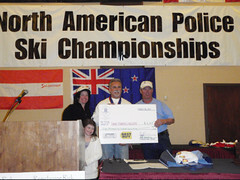 At the closing banquet, Shea presented a check in the amount of $873 (total sales less cost and 3% to herself) to Ben Caperton, Chairman of the North American Police Ski Championships. Shea expressed her thanks and gratitude to all of the police officers for supporting her efforts, and when asked what her dollar amount goal was for the “kick-off” was….she replied $1,000. Clearly, everyone knew that she was shy of her goal. That is when the Coral Gables Police Department presented her with a check in the amount of $150 check to push her over her 1k goal! Coral Gables Police Dept help Shea reach her 1K goal! We are busy preparing for May 1st. Shea will be conducting some door-to-door marketing in the community handing out flyers and invitations. The Lion & Bull have Shea’s event info displayed and are working hard to help us get the message out. In addition to discounted menu specials we will have face painting and glitter “lemon” tattoos for the children (adults too!) Thanks to community mom’s who are lending their time and specialty. Hopefully in a couple of weeks we will have some lemon sightings in the neighborhood….more to come on that. Shea and the Board of NAPSC! For more information on registering your child for FREE in Lemonade Day visit lemonadeday.org and find your city. 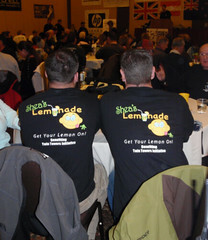 Or, if Lemonade Day is not yet in your city, you can participate individually by visiting lemonadeday.tenderbranch.com. If you have a lemonade story, please share it with us at mystory@lemonadeday.org! Entry filed under: Lemonade Stories. Tags: Shea.